If you’re an Android user outside of the United States, you’ve probably received a “This item cannot be installed in your country” message from the Google Play store at one time or another. While there are some apps that would be pretty much useless when used outside of their intended region, there are a plethora of apps that have location-based restrictions for no reason. 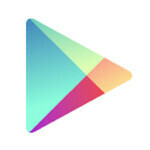 XDA members Deeco7 and xinfinityoO have published two separate versions of a modified Google Play store .APK that will remove country restrictions. Like any other mod project, these have received mixed reviews due to various bugs that these developers are in the processes of ironing out. The latest version, 3.5.16, runs on Android 2.2 and up and already addresses some of those issues. For more information or to download the Modified Google Play store, be sure to check out the XDA thread in the source link. As always, it is advised that you back up your current APK in the event that something goes horribly wrong.